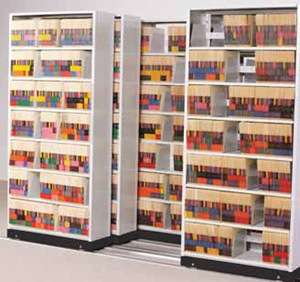 Track system provides fast access to multiple layers of storage. 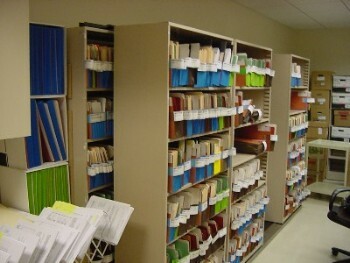 Since no aisles are required, maximum floor space is utilized. All Direct Line products are available on GSA contract, please contact us for a free no obligation survey for a proposal. Expandable. 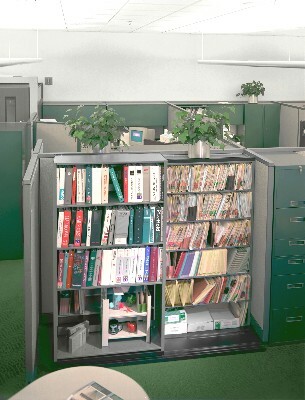 Exceptionally flexible, this modular system can be expanded at any time to accommodate up to three rows in depth and six units in length. Each lateral track row is an independent layer. Safe and secure. 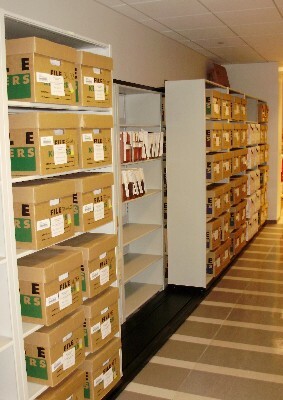 Lateral Tracks unique C channel design provides a bottom mounted anti-tip mechanism to ensure that shelving units are secure.